Okay this week I am not so happy. I just have a point and shoot so my macro shot is not good. I really did not put a whole lot of effort into it either. I am sad as I just bought a lens. A macro lens that is F1.4-5.6 70-300mm. I just do not have the camera as yet. Kind os backwards ah ! Well it was a good deal on the lens. I hope to get my D3oo if santa is good. My son was mad at me the other day and he was angry so he was crting and yelled at me. He said " Fine then mommy, Santa is not going to bring you any presents " I just could not help laughing. Well I hope he does bring me my camera. 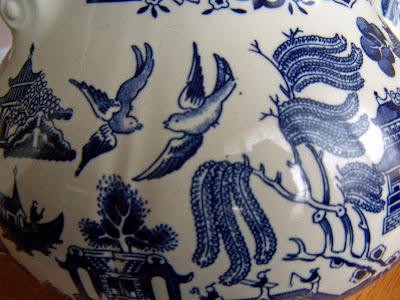 Here is my shot of my blue willow teapot. It is nothing great but I tried, not very hard but I stepped up and did the challenge and it was a challenge. I turned the flash off but still got a glare from the teapot. Oh well ! gorgeous. great idea!!! love the colours and pics on there!!!!!! Wow I think you did just fine! 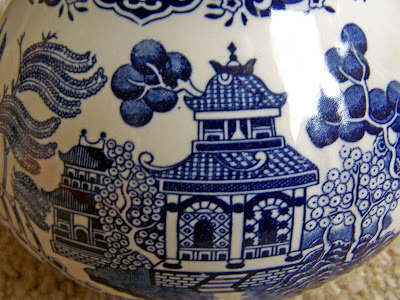 I love the story behind the blue willow china...beautiful! Beautiful!! 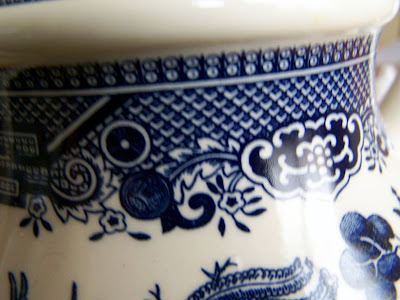 I love your shots of the china!! Thanks for sharing! I am looking to get a new camera too but I think I will go with the Nikon D60. The 300 looks so hard to use. 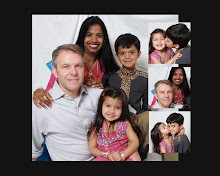 The picture is nice. I think you did a wonderful job!!!!! These are soooo pretty!!!! What a great thing to shoot for macro week. Very pretty!